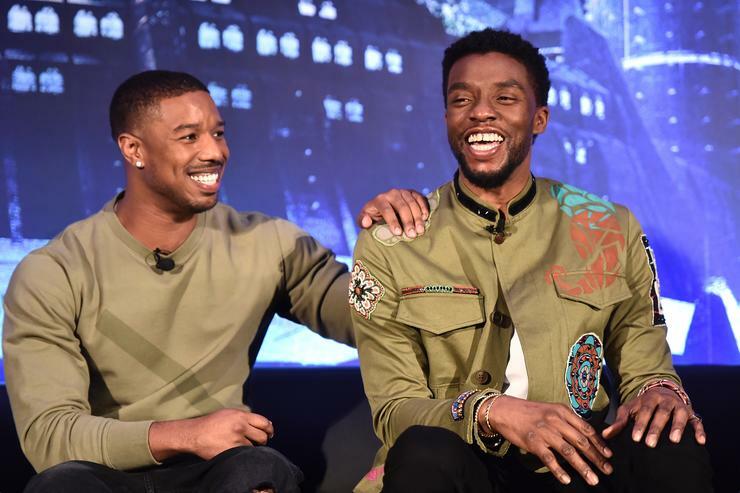 Michael B. Jordan is still single, somehow. After having a breakout year starring in Black Panther, Creed II, and Fahrenheit 451, Jordan is flying solo. The thought of the attractive and muscular Jordan being single was too much for Ellen Degeneres and Chrissy Teigen to handle. Jordan stopped by The Ellen Show, and the two ladies pestered the actor about his dating life until he finally threw them information to satiate their interest. “You’re in all these amazing movies. Really, so much has happened and you’re still somehow single. How is that possible?,” asked Ellen. “I’ve been working crazy, so not really having the time to properly date,” answered Jordan, but Ellen and Chrissy weren’t satisfied. “We don’t buy it. We all work hard but we have relationships,” stated DeGeneres. “Have you ever hooked up via direct messages?,” Chrissy asked, opting to hit Jordan with a less formal dating question. “Yes, I have,” answered Jordan honestly. “I’m human, I’m human. Not often, but yes, I have.” Although he is one of the most sought-after men in Hollywood, Jordan still gives off a cool, nonchalant attitude that appears to be based in humble roots. Still, I’m sure his DMs are exploding after this interview.